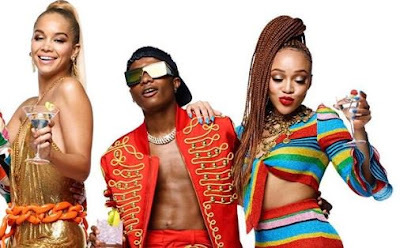 Jeremy Scott, the creative director of Moschino has announced his collaboration with Nigerian pop star, Wizkid and Ciroc, for the Milan Fashion Week. This collaboration promises a ‘year of revelry’ for party celebrations and limited edition bottles. Jeremy Scott launched the new collaboration with fashion influencers and musicians such as River Viiperi, Golden Barbie and Wizkid. Jeremy Scott revealed that he likes the cheeky and playful nature of CIROC as it connects with the way he approaches life and fashion, and he felt the synergy. The music sensation who only recently had his StarBoy collaboration with Nike sell out in minutes also became the first African artist to walk a D&G runway.